How did the rose ever open its heart and give to this world all its beauty? It felt the encouragement of light against its being, otherwise, we all remain too frightened. In this season of turmoil and transformation, I’ve been learning about—and from—crocuses. 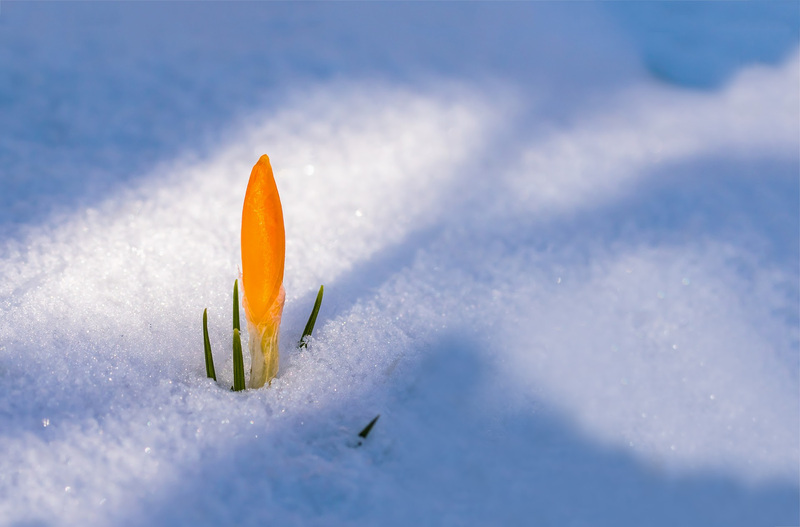 The flowers of the snow crocus focus the energy of the sunlight, so much so that the air at the heart of a crocus blossom can be as much as ten degrees warmer than the surroundings. Newly emerged insects warm themselves in crocus blossoms. They are a fierce and breathtaking harbinger of the coming spring. It was quiet and dark below ground. Nothing changed; nothing stirred. Nothing grew. It felt safe. For all anyone remembered, it had always been this way. Visiting Friends in New England?